Does anyone here like chess? Also, if we ever get an arcade, it should have a chess section. Last edited by Blorg; 01-30-2014 at 11:51 PM. I used to play chess on Pogo a lot. I also used to tutor chess at a local Boys and Girls club. Haven't played very often in recent years though. I play on occasion. I'm not very good, but I've at least gotten better over the last few months. 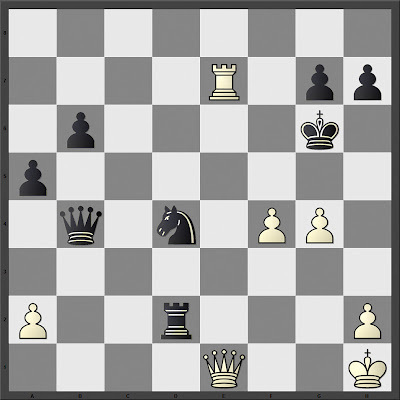 I joined chess.com and used the tactics trainer a lot - it really helps. We didn't land on Plymouth Rock. Plymouth Rock landed on us. Sure.. I love chess. I started playing about a year ago as a hobby. Now that I'm busy with school I mostly do puzzles, or online chess at chess.com, and put the settings at a couple days per move. It sounds like a long time, not that I typically use it, but allows you to really analyze your moves, question the best positions, etc. You just have to watch out for cheaters who use chess engines. (it's pretty obvious when that's the case) Etiquette is that you bring only your knowledge to the game. If anyone wants to add me, I'll play you. My screen name is ewright87m. "Long live the weeds and the wilderness!" It must be fun to tutor chess (and I hear it can pay well). edit: what's the arcade forecast? I often find chess puzzles more fun than 'real' chess. The competitive aspect gets stressful. Susan Polgar's website (and book) has fun puzzles. or online chess at chess.com, and put the settings at a couple days per move. It sounds like a long time, not that I typically use it, but allows you to really analyze your moves, question the best positions, etc. You just have to watch out for cheaters who use chess engines. (it's pretty obvious when that's the case) Etiquette is that you bring only your knowledge to the game. chess people seem to be etiquette-challenged a lot of the time. at least at the level I play(ed) at. I guess the pros like to have a smooth image (with a few exceptions...bobby fischer for example). If anyone wants to add me, I'll play you. My screen name is ewright87m. sure! I'll have to join chess.com first. I've actually only used yahoo chess, and yahoo chess, like yahoo itself, is . Last edited by Blorg; 01-31-2014 at 03:07 AM. Very occasionally. I'm not especially good, but I enjoy it from time to time. The musical? Yes, it's one of my favorites. If you ever have a chance to see a production, go. Even a small one. They put it on from time to time in little theaters in L.A.
Oh, god. A checkmate 9 moves out? I think youre way ahead of me, haha. I'll give a look though. Should be fun. i wanna get better at chess but i'd rather practice with real life people and idk if i should be practicing with people better than me willing to take the occasional "teaching" role or with others around my skill level. i just know i don't wanna spend any money. with go i imagine it'd be even harder to find suitable partners. i sneeze like a grandpa. I know how to play chess :P Which is to say, i'm aware of the rules. I read a book or two while younger. But something about it never quite grabbed my heart.